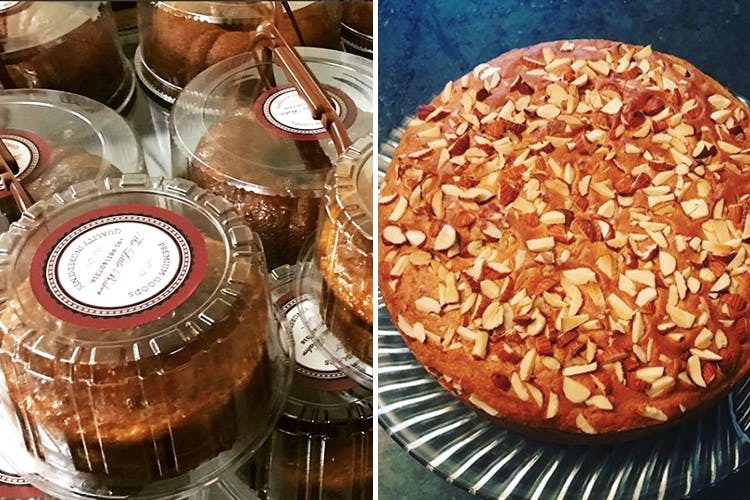 The Little Baker, a self-run bakery started by Manya Jain in Faridabad, is delivering eggless, vegetarian cakes all over the city (NCR included). Her delicious creations are delivered to you freshly baked and prepared with organic ingredients. She started with tea time snacks, almond biscottis, cookies and brownies. She moved on to creating exciting cakes, playing around with flavours and different combinations. She doesn’t use any preservatives but safe ingredients and makes sure that everything's fresh. Just place your order a day before and she’ll make sure everything reaches you the next day. Light and spongy, it’s hard to stop at just one slice. If you love tea cakes, we hear excellent things about her Orange Marmalade cake, Earl Grey Cake and Banana Chocolate Chip Cake. She experiments with unconventional pairings like blueberry and lemon and combines them to make awesome cakes. Try her Zesty Orange and Cranberry Cake or the Dark Chocolate and Walnut Cake. The Nutella Cake sounds sinfully divine (we all have a Nutella lover in our lives). It also makes for a delicious birthday cake. The Little Baker has pretty much won us over with its promise of preservative-free. Be sure to order one of their excellent cakes for the next time you’re celebrating something (or when you’re just hungry).